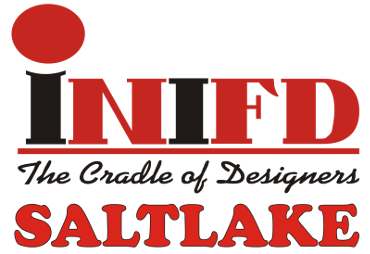 INIFD, Saltlake Kolkata boasts of a long standing presence in fashion and interior design domain. We aim to take education in fashion and Interior design to the common man in India while providing industry focused, relevant, seamless and quality design education. Yes, braced by our industry experience, state of the art education system and best faculties we have been able to provide great talent to the Fashion & Interior Industry. We hone your skill, build you personality from the beginning and also motivate yourself to walk those extra miles. Students at INIFD Saltlake, Kolkata have immense exposure and talent, which is further guided, honed and nurtured by the best and result oriented faculties. Moreover; our targeted industrial visits and design meetings with the professionals leave the door wide open to a rather foolproof career for our students. We give individual attention to each of the students. Our aim is to take education in fashion and design to the common man in India. We provide premier educational experience to foster career focus, creativity and most importantly a global perspective. - Offer students rigorous and innovative curriculum taught by the distinguished faculties with academic excellence and industry experience. - Promote the ultimate student growth and self-development through student support services, programs, and activities. Inter National Institute of Fashion Design INIFD, Kolkata, Salt Lake City offers various graduate courses as well as Post Graduate courses. Interested candidate can apply offline/online with the required information. Candidate will be selected on the basis of marks obtained in 10+2. Inter National Institute of Fashion Design INIFD, Kolkata, Salt Lake City is affiliated to Annamalai University, Annamalai Nagar. List of facilities available at Inter National Institute of Fashion Design INIFD, Kolkata, Salt Lake City for students. This page was last modified on 18 March 2015 at 11:03.